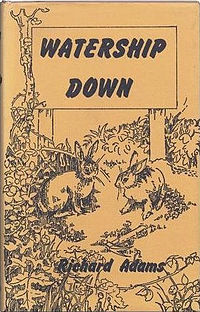 A few year ago, I read Watership Down by Richard Adams, I read it twice actually. It is an allegorical story about rabbits who escaped the destruction of their warren by very mean bulldozers. These are rabbits that exhibit human traits (anthropomorphised), and in the part of the story that I want to tell you about, you, most likely, will see an analogy.